During the winter months, maintaining your yard often feels like an uphill battle. With the temperature fluctuations, holiday distractions, and sense of “wait for it” that January and February bring, junk and yard waste slip past our defenses and make a home on our lawns. It’s easy to forget that our front lawns are often the only things passersby see. Whether you’re planning a move or just itching for spring-cleaning, removing yard waste is an excellent place to start. Lush, sprawling gardens and simple landscapes alike generate scraggly piles of yard waste that grow, unchecked, through the colder months. Piles of leaves, fallen branches from winter storms, and flowers killed by the recent cold snap litter the landscape until they wind up in a heap in the backyard. These piles do more than ruin you’re home’s aesthetics. If not properly disposed, piles of organic debris can attract wildlife, decay your grass, and grow mold and mildew. Instead of wasting your weekends hauling dead branches to a recycling center, call Mr Junk. Our yard waste removal services include hedge trimmings, fallen tree branches, old Christmas trees, shed clean outs, and more. Reclaim your landscape from winter’s leftover junk. Your outdoor living space is an extension of your home. Whereas indoors you have to fight dust, clutter, and messy family members, your outdoor space has to contend with the elements. Lawn furniture is more resilient than antique heirlooms and bedroom furniture sets, but it wears out twice as quickly. 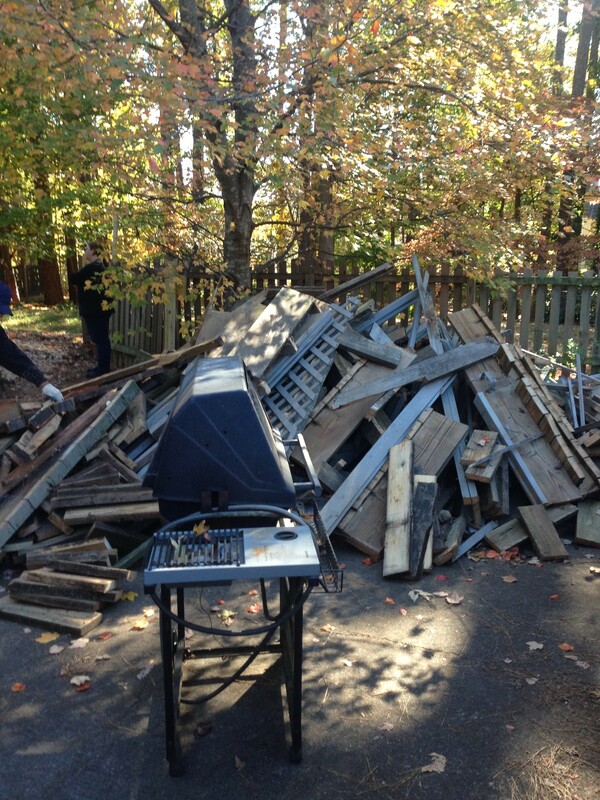 Update your outdoor living space by hauling away worn lawn chairs and broken patio tables. Removing old lawn furniture before the spring-cleaning rush gives you time to declutter your thoughts and analyze what replacement furniture your family needs. Reassess your backyard style in the months before spring. All that free space may spark a new idea for an outdoor family space. 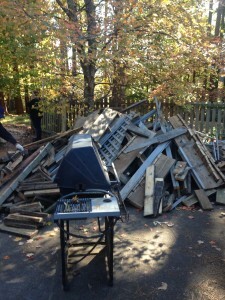 Call Mr Junk to remove your Kennesaw yard waste this winter.